A colourful collection of mirrors now available for your next prescription sunglasses. Colours include blue, strong blue, red, green, gold, bronze, silver and white. Everyone deserves the most comfortable vision possible. That’s why Eyezen is available for everyone – whether you have a prescription or not – to keep you going from morning to night and to get the most of your screen life. Now available at Scenic Rim Optometrists. this routinely to photograph and monitor our patient's eye health. health to ensure early diagnosis of this disease. This disease of the Optic Nerve can be treated. Order two pairs of prescription lenses from Scenic Rim Optometrists and have the second pair upgraded to POLARISED for FREE. Terms and conditions apply, contact us for further details. Offer ends 29th February 2016. A world where avoidable blindness and vision loss due simply to the lack of a pair of eye glasses no longer threaten the quality-of-life and future livelihood of children and adults because there is universal access to quality vision and eye care services for all those in need. Scenic Rim Optometrists, supporting Optometry Giving Sight. Donate in store or visit http://www.givingsight.org/ for more information. Did you know that Glaucoma runs in families? There are no symptoms of Glaucoma which is why early detection by your optometrist is so important. 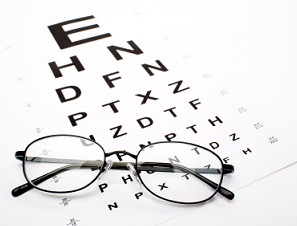 Make sure you and your family members are checked regularly and help beat invisible Glaucoma. Make an appointment today if you are unsure. Are you or do you know an Optometrist which would like to join our practice. We have a position available for a full-time Optometrist. If you like the sound of being part of a practice with generous consulting times, state of the art equipment and a health focused direction, we would love to hear from you. Join a team environment which is guaranteed to be rewarding. Phone 07 5541 9510 for further information on the position. This dry eye treatment assists the surface health of the eye by creating a microenvironment that supports healing and prevents further damage. 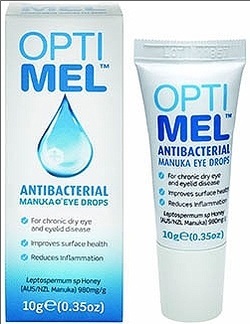 Optimel Antibacterial Manuka Eye Drops helps improve eye surface health and reduce inflammation. When applied to the surface of the eye, Optimel Antibacterial Manuka Eye Drops provide a barrier that through low pH, acts on bacteria that may potentially colonise the traumatised surface. Patients with tear deficiency and meibomian gland disease have an overgrowth of ocular flora. This overgrowth is thought to contribute to the tear film instability and ocular surface damage. 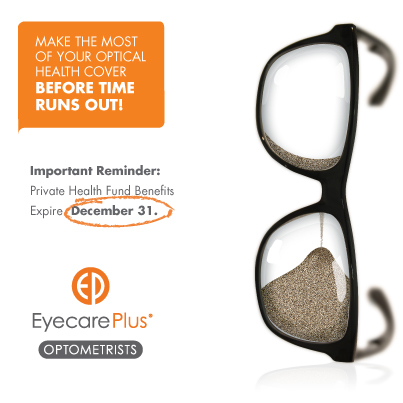 You may have an amount of unused Health fund Benefits to use on glasses or contact lenses. 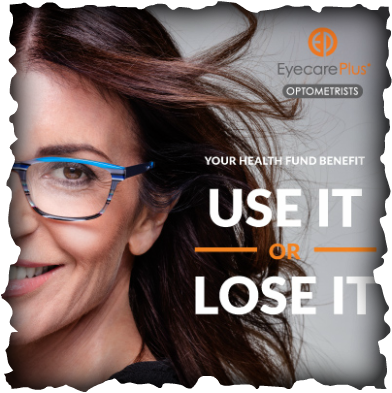 If you are in one of the health funds pictured below, your optical benefits will expire for this financial year on 30th June. See us in store to claim your benefit on glasses or contact lenses. We would be happy to assist you. Ready for a new era in daily contact lens comfort, where 9 out of 10 patients commented, "sometimes I forget I am wearing these lenses?" Talk to Scenic Rim Optometrists about your suitability to wear this new contact lens. Parents of Beaudesert, Rathdowney, Veresdale and Woodhill State School. We will be visiting your prep students at these schools through March. We are visiting to discuss the affects of Ultraviolet damage and their eyes, while discussing essential elements to eye safety. 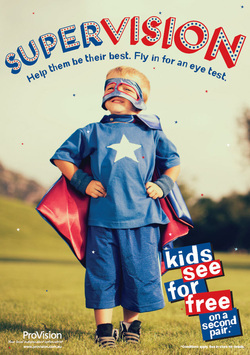 We do recommend an eye test for children beginning school (this examination is bulk billed to medicare). We are able to assess and advise parents whether your children have the best vision to begin their school life with. 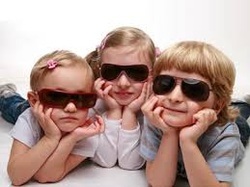 Your sons or daughter will be issued with a voucher to present at the practice to collect a "FREE" pair of sunglasses to help protect their eyes from UV damage. We look forward to seeing you in our practice soon. Would you like the opportunity to win either this ladies or gents watch? To the end of February, each patient purchasing a Stepper branded frame will go into the drawer to win one of these watches. We do stock a generous range of Stepper frames, phone us now to book a frame fitting appointment if you would like the opportunity to wear one of these frames? 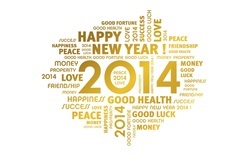 Wishing you and your family a happy, healthy and prosperous 2014. We are open and have returned to normal operating hours. Monday - Friday 9am - 5pm, open till 7pm Thursday evening and Saturday 9am - 12 midday. Crizal Sun UV at no charge* Plus cycling jersey as Gift With Purchase. Receive Crizal Sun UV coating at no charge on Varilux Openview Progressive & Openview Single Vision lenses. 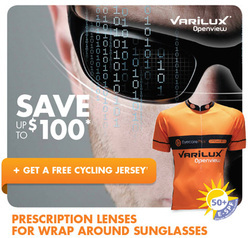 Also, receive a cycling jersey as a Gift with purchase with each pair of lenses purchased.Offer valid till 31st January 2014. 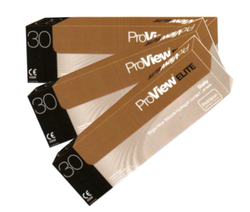 As a part of Provision Independant Optometrists we have exclusive rights to a brand new contact lens technology in ProView Elite Daily Contact Lenses. These lenses are a third generation silicone hydrogel material, which gives high levels of breathability (oxygen transmissibility) without compromising material softness and comfort. So what does all of this mean to you? 1. Excellent vision - so you can use your lenses for any activity you choose. 2. Lens material breathability - for a healthier lens wearing experience for longer days. 3. Naturally wettable material - so your lenses feel smooth and moist without the need for additives or surface treatments. 4. Comfort - so you can enjoy your lens wear all day, every day. 5. UV blocker - to help reduce the risk of eye complications related to UV exposure(sunglasses should still be worn in the sun to protect the external structures of the eye like the eyelids). For a free trial of these great new lenses, just call us on 5541 9510. Poor vision can interfere with your child's ability to learn and meet their full potential, yet often goes unnoticed. That's why it's important for children to have an eye test before they start school and every two years thereafter. So help them be their best and book them in for an eye test. It may be the most important thing you do for them this year. > Conditions apply. See in-store for details. # Vision Council of America, Making The Grade, 2009. We now stock a range of Bolle Safety glasses, and we can even put your prescription lenses into them. For more information see the Bolle Safety website at www.bollesafety.com.au or visit us to view the range. For more information on Hoya safety lenses and eye protection click here: http://www.hoyalens.com.au/HLA/client/GeneralContent/c_singleDynamicPage.jsp?categoryName=Prescription Safety Eyewear.